his adorably grouchy pup has finally found a home after winning hearts on the internet in his role as “Grumpy Dog”. 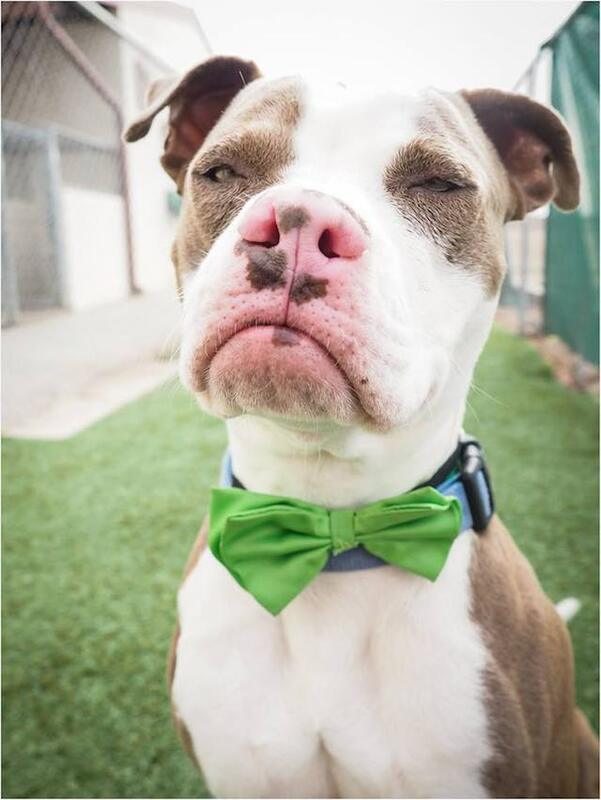 Sheldon was brought into an Arizona animal shelter a few days before Christmas, but, with such a scrooge-y looking mug, there weren’t any potential adopters interested in bringing him home. Heather Haltmeyer, a volunteer at the Maricopa County Animal Care and Control shelter who specializes in taking photos of canines that need a special spotlight for adoption, made a post on the organization’s Facebook page for Sheldon. She couldn’t help but gush over how perfect this grouchy pup really was. The post became a huge hit and was spread far and wide with social media users admiring his countenance and tagging him with #GrumpyDog. Most importantly, however, the photos eventually reached Emily Chmiel who fell in love. Without waiting more than a day, Emily headed to the shelter the following morning and signed the adoption papers for Sheldon, who has fondly been renamed Cas. Cas reportedly now spends his days snuggling with his new momma and hanging with Emily’s five rescue cats.